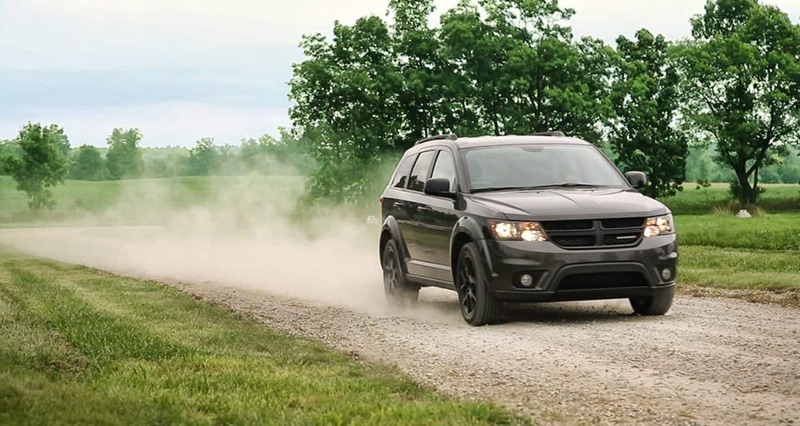 It's not every 3-row mid-size crossover that can also say it also looks like a bruiser spoiling for a race, but the 2019 Dodge Journey pulls it off. With four doors, a liftgate, a noticeably aggressive stance, a "Redline 2" exterior color, a GT model, and an available Blacktop Package- this is not just another boring lozenge-shaped family mover! 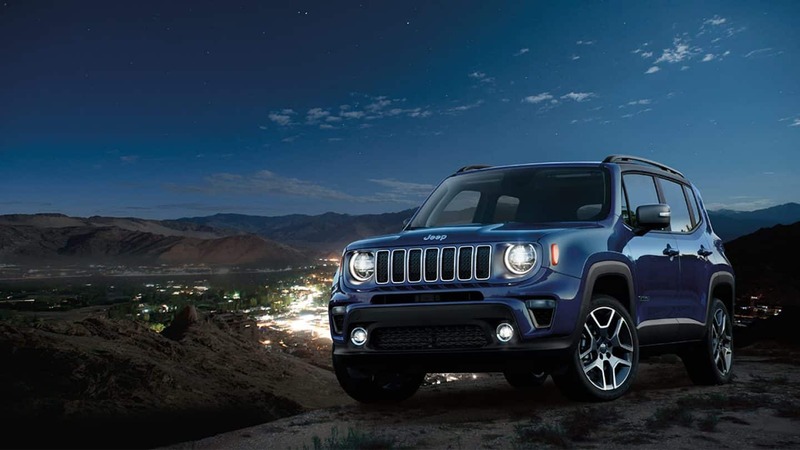 With a ton of space, All-Wheel drive availability on any model, an estimated 19/25 mpg city/highway rating on certain configurations, and that signature "split crosshair" grille, the 2019 Journey is here to rock the pavement under everyone's feet! Let's explore it a bit further here, and see if it's the vehicle you have been looking for! What engines & transmissions are within this vehicle? This is a vehicle with Trailer Sway Control as standard that has an inherent possible towing capacity of up to 2,500-lbs, and it does that with a choice of engines. The first one of those is the 3.6L Pentastar V6 that gets 283-hp and 260 lb-ft of torque and is standard on the 4x2 GT model (optional on the other 4x2 models). The other engine is a 2.4L four-cylinder that attains 173-hp and 166 lb.-ft. of torque, and can get up to 25-mpg on the highway (with the 4-speed automatic transmission), found on both the FWD SE and the Crossroad models. 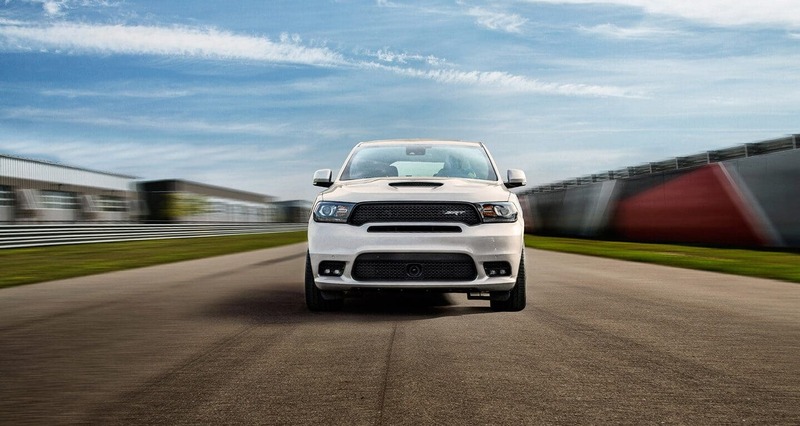 In the AWD setup, there is a standard 6-speed Autostick transmission married to the 3.6L Pentastar V6. This is on top of 3 different suspensions elections (contingent on model grade): Independent, Touring, and High-Performance. What does each model have in terms of feature sets? 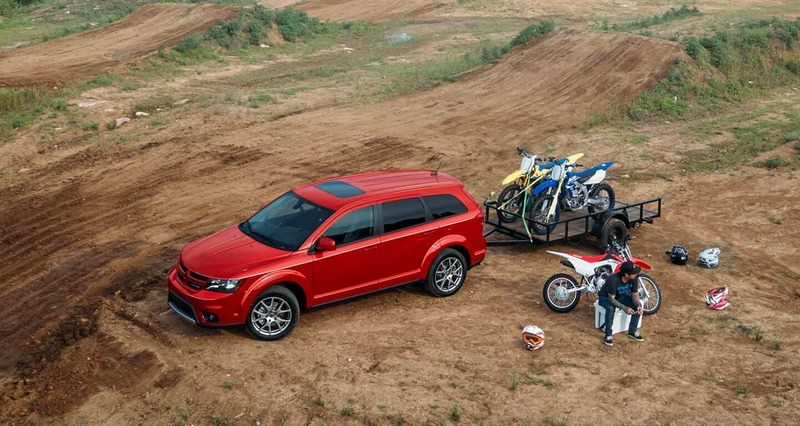 There are 3 consolidated models of the Dodge Journey in 2019, any of which can be made in either 4x2 or All-Wheel Drive: the SE, the Crossroad, and the GT. 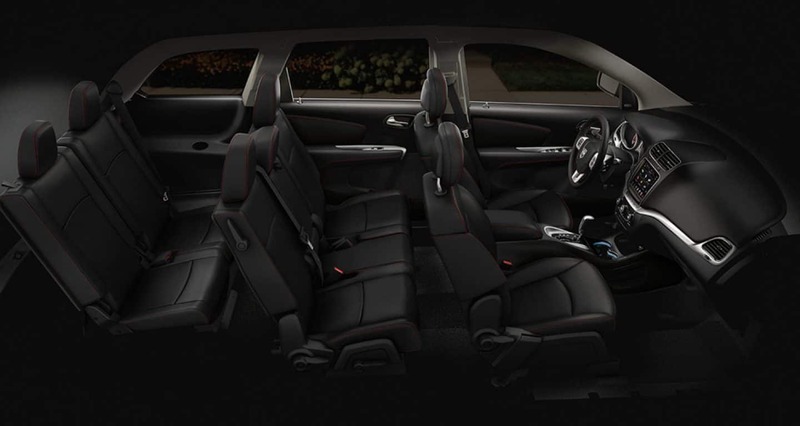 The 2019 Journey generally has great features, like standard third-row seats, a push-button start, an in-floor cooler for water, an available 6-way power driver seat with 4-way power lumbar adjustment, cargo area in-floor storage, and up to 67.6 cubic feet of space with both back rows folded flat. It also can incorporate built-in/fold-away child booster seats for the second-row, an available heated steering wheel, options for heated front seats, and the available Family Entertainment Group for movies & video games, via a nine-inch console flip-down screen. The optional Uconnect 3 NAV Garmin system appears and can have an 8.4-inch touchscreen, with 5-year subscriptions to both SiriusXM Traffic and SiriusXM Travel Link! Otherwise note you can get the standard Uconnect 4.3" touchscreen, which also touts functionality such as Bluetooth/AM/FM radio, MP3 player agreement, available Voice Command & Hands-Free Calling, and a USB port. The 4.3" screen can also install SiriusXM and a CD player as well. Further, get the Premium Sound Group on the Crossroad model which ramps things up quickly using 6-speakers by Infinity, a 368-watt amp, and a subwoofer! 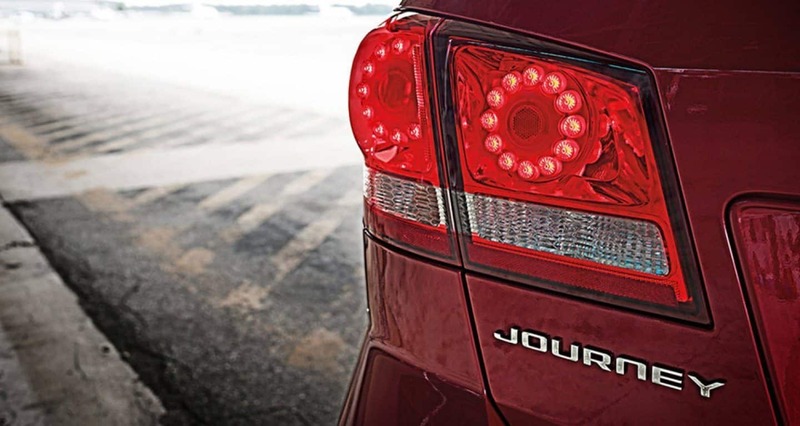 On 2019 Journey models, dual-zone manual temperature control is standard, and 3-zone auto-temp control is an option. Keyless Enter 'n Go is super helpful as an available feature, as are dual bright exhaust tips, Apple CarPlay/Android Auto smartphone integration, and black headlight bezels. 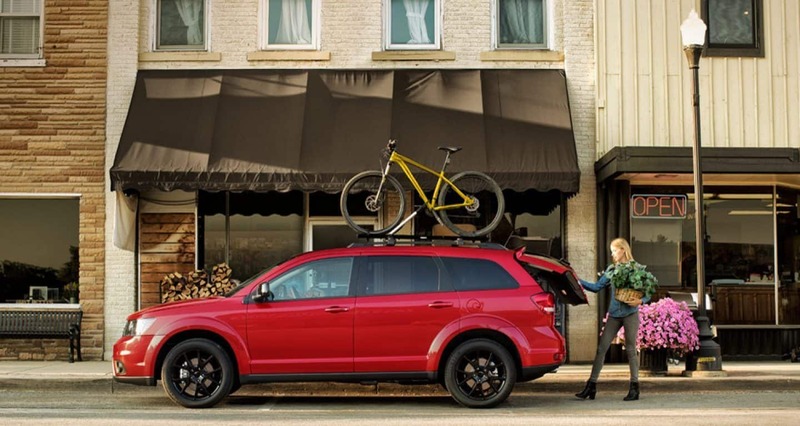 Exterior colors are also fun with a mix of traditional favorites from Dodge's world, such as Blood Orange, Redline, Contusion Blue, Pitch Black, White Noise Tri-Coat, and the new-to-the-Journey Destroyer Gray. Can you discuss the GT model for a moment? The 3.6L Pentastar V6 with the 6-speed auto transmission is the only configuration you will need with this model! It is the only one with the High-Performance suspension, perforated panels on the leather-trimmed seats, an option for a Mopar cargo tray, and can opt for a Black/Red interior. 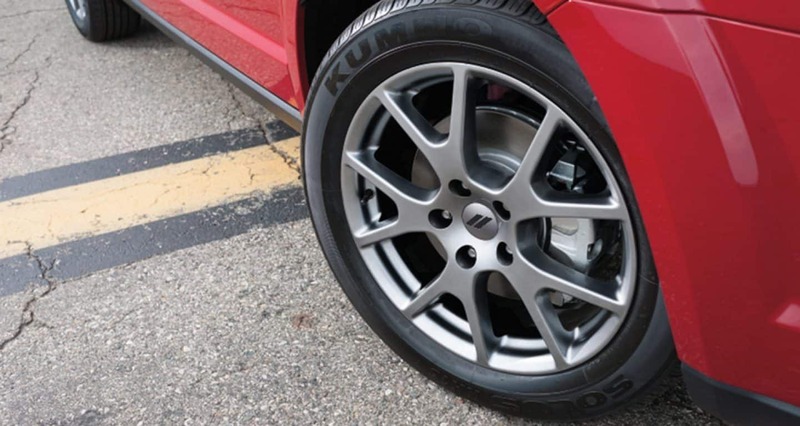 Additionally, it has 19" x 7" painted aluminum wheels with 225/55R19 BSW All Season Touring Tires, with the option to make those wheels Gloss Black as well. The GT model ensures security with a standard security system for the ignition and doors/liftgate, as well as has four-wheel disc antilock brakes, Trailer Sway Control, the LATCH-Ready Child Seat Anchor System, and a Brake Assist functionality. To be sure, it's a beast in either FWD or AWD, has clearance to authorize the popular Blacktop Package, and even a heated steering wheel for those cold mornings! 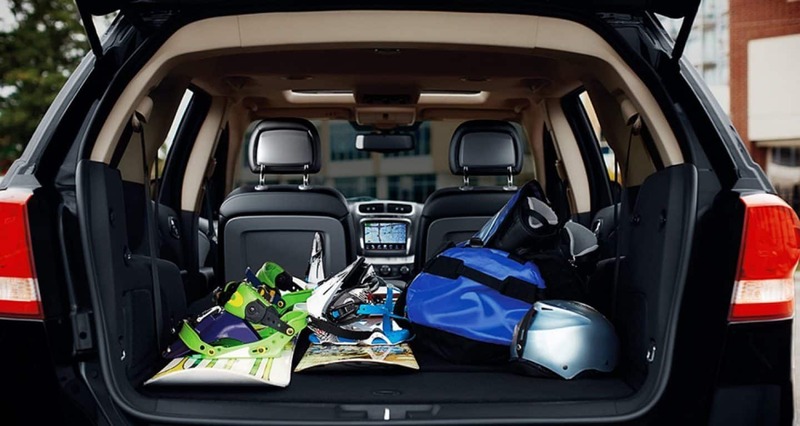 The 2019 Journey keeps you, your people, your pets, and your cargo safe with advanced multistage front airbags, supplemental side-curtain airbags, front seat-mounted side airbags, and even a driver's knee bolster airbag! It actually has more than 40 available safety and security features, including things like a bolstered frame that uses dual-phase steel and also smartly-designed front & rear crumple zones used to absorb impacts and redirect energy. Then, the Journey packs in modern safety features like a standard ParkView Rear Back-Up Camera, an available ParkSense Rear Park Assist System option, Speed Control, a 4-channel antilock brake system, Electronic Roll Mitigation, a TPMS, and a standard Sentry Key Theft Deterrent System which can utilize an engine immobilizer. That's a lot of safety and protection, and truly just touches on the full breadth of them. 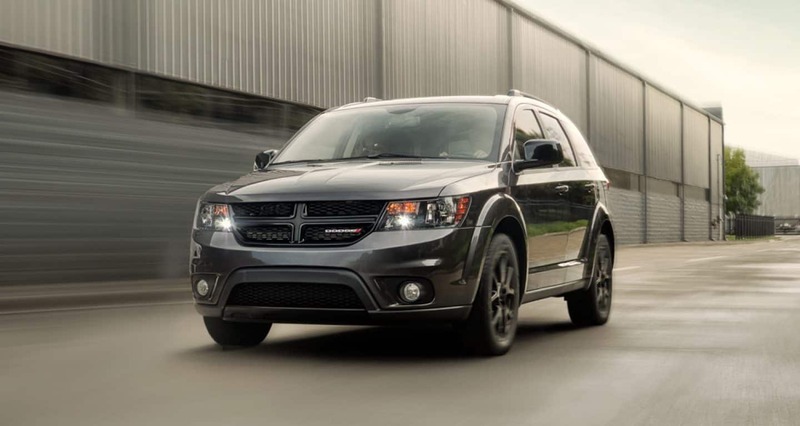 Why not come on in here to Lustine Chrysler Dodge Jeep Ram and see what we have in stock for you, especially if it's a 2019 Dodge Journey!